Internet Explorer 11, the default browser of Windows 8.1, is now also available on Windows 7. Microsoft previously launched a number of beta versions and always said that IE11 would arrive on its older operating system shortly after the launch of Windows 8.1, so today’s launch isn’t exactly a major surprise. 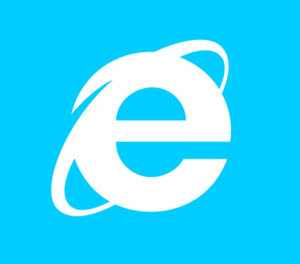 Internet Explorer 11 (IE11) is available worldwide in 95 languages for download today. We will begin automatically updating Windows 7 customers to IE11 in the weeks ahead, starting today with customers running the IE11 Developer and Release Previews. With this final release, IE11 brings the same leading standards support–with improved performance, security, privacy, and reliability that consumers enjoy on Windows 8.1—to Windows 7 customers. You can experience IE11’s leading performance first hand with demos on the IE Test Drive site where you’ll find examples of hardware accelerated rendering, interactivity, touch, and real world site patterns. EtchMark is a new test drive demo that’s an entertaining HTML5 retro-drawing experience, one that also enables you measure your browser’s performance. You can find all the details about the Windows 7 launch here. So head down and download IE 11 for your Windows 7 powered machine. The infographic below depicts the history of Web Development.